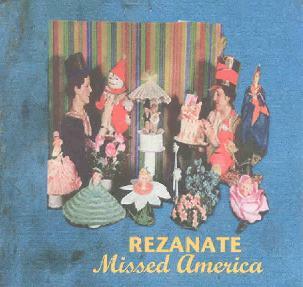 Rezante are a 3 piece from the San Francisco Bay Area who have produced a very strange CD of 20 short pieces of samples, guitar drones, spoken words with weird sounds, low fi guitar excursions, and in general a collection of strange stuff that I don't quite get. I guess I should be glad that there are people that make stuff like this but I am not sure what the target audience is. Oh yeah... the last half of the CD is a compilation of material recorded between 1997 and 1999. File under experimental strangeness!